Hurry over to Kohl's.com where they are hosting an EPIC sale and everyone earns $10 in Kohl's Cash with their $50 purchase. Cash in on hot deals in every department! 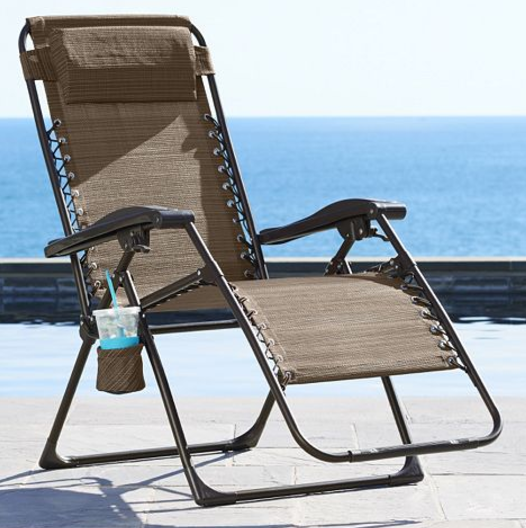 One of my favorite bargains is the SONOMA Goods for Life™ Patio Antigravity Chair on sale for $39.99 (Retail $139.99)! I bought a set of these during the last sale and we LOVE them! Hurry over to find your favorites before the deals end!